We’re all set for an absolute cracker this Thursday as two big names in the Championship clash at the Madejski Stadium. Both Reading and QPR are both names with Premier League history and there’s little doubt that both sides will be looking to get back to winning ways as we approach the Christmas period. It should be an intriguing match up with both these sides on the edge of the playoffs, and victory for either should put them right back into contention. Its been a frustrating period for both these sides with wins hard to come by, so there is plenty riding on this game. For Steve Clarke and his Royals side, after a good start to their Championship campaign its been a difficult few months as their form has dipped, pushing them down the table into 9th place. With only one win in their last seven games a win tonight would definitely stop the rot and three points would be much needed as the side clings on to the coat tails of the play off spots. The good news is that the Royals now only lie 1 point off Birmingham, who take up the final playoff spot and only 11 points off Championship league leaders Brighton, so realistically a few wins will push the side back into contention. Reading also won their last home game against a very poor Bolton side so the side are favourites coming into this game. A 3-1 loss to Nottingham Forest last weekend will have done little to improve the optimism of Reading fans however. Scoring has not been problem – it is defensively that the Royals have encountered problems with only one clean sheet in their last nine and its apparent that Steve Clarke needs to solve the balance of the team. The arrival of QPR is obviously look a difficult challenge on paper, but this is one side which has an absolutely appalling away record. Rangers have lost their last five away trips on the bounce and failed to score in their last three. After former manager Chris Ramsey left the club, Neil Warnock has been brought in and things have definitey improved defensively. The ex Sheff Utd manager is experienced at this level but his title of ‘caretaker manager’ will do nothing for team spirit, with the appointment of Jimmy Flloyd Hasselbink looking imminent, as the former Chelsea man negotiates a package away from Burton. QPR have only shipped three goals in their last seven games in the Championship which is a marked improvement from their early season form, but it is clear that scoring goals is a major problem. 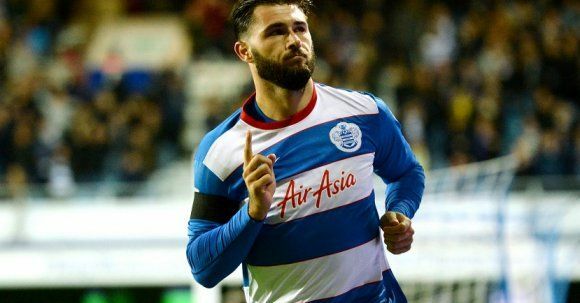 Charlie Austin did come off the subs bench to head in the winner at the weekend, bagging his eighth goal of the season in beating Leeds 1-0 at Loftus Road and this will give QPR fans some hope coming into the game. Austin should start at the Madejski as he continues his recovery from a calf problem and this should provide a boost going forward. This looks to be a very tight affair with both sides struggling to put in totally convincing displays as the bookmakers make Reading favourites at 11/10. QPR look a big price at 14/5 but it’s difficult to make a case for them after having such a miserable away record. Rangers have lost their last three aways by the scoreline of 1-0 and that price should see plenty of attention from punters, with the 1-0 Reading win correct score available at 6/1 across the board. Its difficult to see this game being a goal fest considering the scoring exploits of both sides at the moment. There have been under 2.5 goals scored in QPR’s last five games in the Championship and this trend looks set to continue at the Madejski Thursday. Under 2.5 goals can be backed at 4/6 and this price looks just about right. 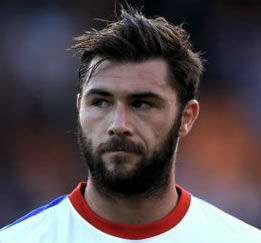 Those who fancy Charlie Austin to make the difference can back the tight QPR away win at 9/1, while Austin himself is 5/1 to bag the first goal of the game, or can be backed at 7/4 to find the net at anytime during the match. Whatever you decide, make sure you take advantage with Bet365, who will have their live streaming service in operation on all the Championship games on the the coming weeks, including Thursday’s Championship clash at the Madejski.